Solid oak standing desks with two quality grades of oak to choose from. Character oak has natural knots and gaps that are filled to ensure a smooth surface finish and the higher grade prime oak that has fewer knots and gaps. This height adjustable oak desk will keep you on your toes and is a popular choice with customers who are looking for a home office desk. Each desktop is handmade to order in the UK which means that custom sizes are an option if you're looking for a more bespoke desk. Get in touch if you would like a quote or to order multiple desks. Underneath the oak desktop sits our stunning Danish designed Aura frame. It boasts the best stability, at standing height, of any adjustable height frame in its price range according to research in the US conducted by experts in ergonomic standing desks. A heavyweight and sturdy 40kg steel frame, with a lift capacity of over 18 stone, that is telescopic as well as height-adjustable and has an ultra-low noise level of less than 39dB. As with any natural wood products, twisting and warping can occur in varying temperature conditions. We strongly recommend that reclaimed desktops are not used in environments with air conditioning or positioned immediately next to an active radiator. Don’t use any cleaning agent that contains an abrasive, ammonia, bleach, spirit or other aggressive constituents like sanitiser sprays. Use a warm, damp and slightly soapy cloth to wipe over. Don’t use any spray cleaners as they can damage the protection of the lacquer finish or use wax, as a build-up can spoil the finish. Special care should be taken not to damage the lacquer finish during the first two weeks of installation. Lacquer can take several days to be heat-proof and up to two weeks to fully cure. We strongly advise placing hot objects on mats rather than the bare top particularly during this time and as a general rule to avoid damage. Oiled finishes don’t provide as much protection as lacquer finishes, and they aren’t as durable either. Particular care should be taken to wipe up spills immediately. If they are not cleaned immediately, a permanent stain can result. If monocoat oil has been used and after time the top feels noticeably dry, apply additional coats. Aura is a semi-assembled frame for quick and easy set-up. Weighing in at a sturdy 40kg this solid telescopic frame can accommodate a large two-metre desktop just as well as a desk for small spaces at half the size. The Orthomat provides just the right balance between cushioning and foot support for use with a sit standing desk. 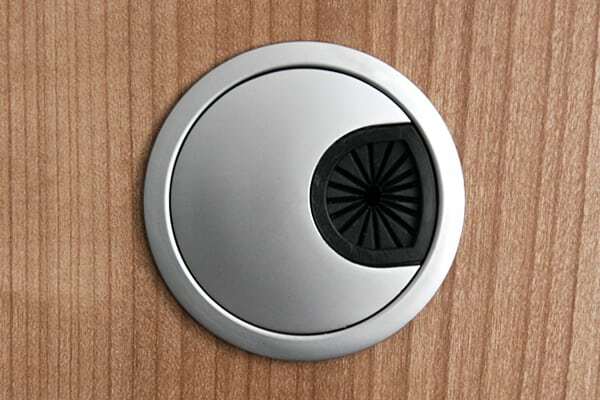 Bevelled edges and a textured underside help create an anti-curl finish that sits flush to the floor. Made from durable polyurethane the mat measures 810mm x 500mm. Cable management grommets help constrain and organise cabling. Two aluminium grommets, one in each corner of the desktop at the back. 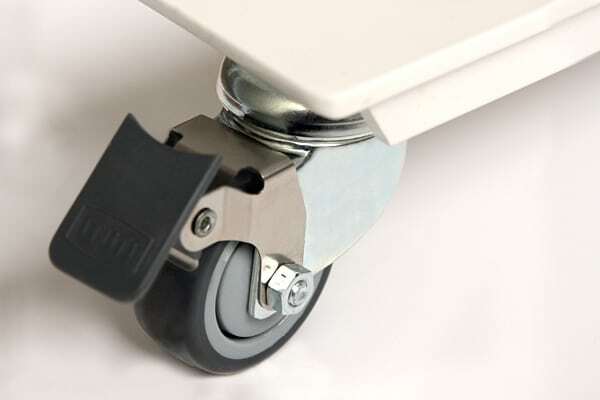 These desks are heavy, so if you want to be able to easily change the position of your desk on a regular basis castors are a recommendation. Set of 4 lockable castors. 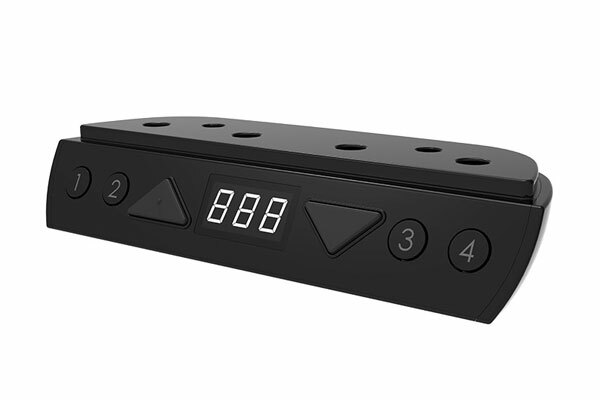 A programmable height controller with 4 preset heights is available as an upgrade if you’d prefer, rather than the two button up/down controller that comes as standard. Preset height adjustment is achieved by keeping your finger on the chosen preset until the desk stops automatically at that height. 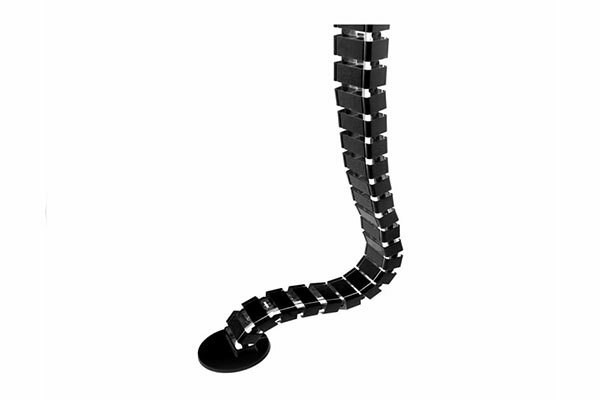 This cable slinky is ideal for keeping wires and cables neat and tidy. The weighted bottom keeps it rooted to the ground while its ladder design keeps the cable manager in place and only allows movement in one direction. Monitor arms allow you to adjust your screen to the optimal viewing position (height, depth and angle) for both standing and sitting. 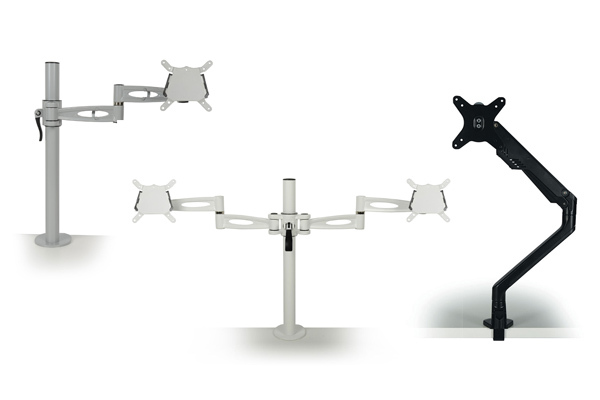 We offer a choice of standard and gas lift monitor arms with single and dual screen options. 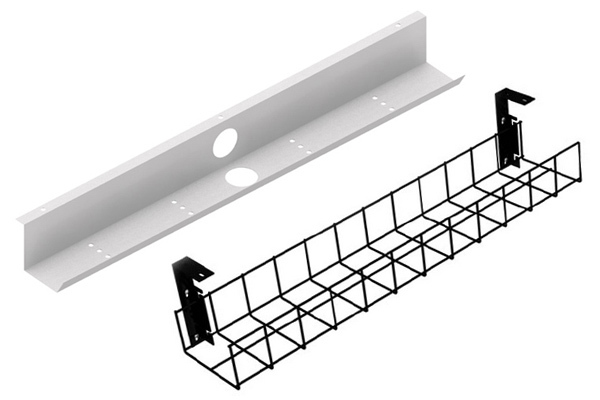 A cable tray is a convenient way to get wires and cables neatly stowed. 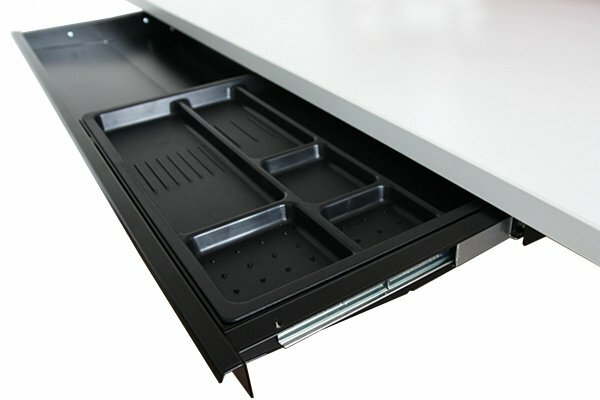 Wire tray and solid metal options with simple under desktop fixings. Wire trays available in black and silver, solid metal in grey and white. Free UK mainland delivery on all orders. Desk deliveries within 30 miles of Norwich also include a free installation service. Lead time: Desktops are made-to-order so please allow 4-6 weeks for delivery. It's typically sooner but we like to err on the side of caution just in case. In the unlikely event the item is faulty, we will arrange for it to be collected and either provide a replacement or refund. Please get in touch within 24 hours of receipt of the item, to make a valid claim. Custom size desktops are non-refundable due to their personalised nature. Please read our returns policy here before placing your order.